The Infinity Communication, Conflict Management, and De-escalation program is designed for individuals who face potentially violent situations. It is based on the development of respectful, thoughtful, and measured interactions between individuals and groups. It has been designed, and is currently being delivered by law enforcement professionals with extensive experience in dealing with situations that can lead to physical altercations. The program is delivered in a blended delivery format with the initial portion of the course being delivered online and the remainder delivered in a classroom setting. 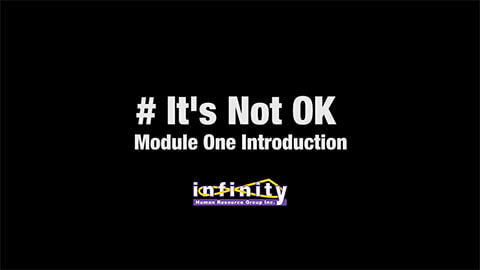 The course is fully customizable in that Infinity will produce video re-enactments of situations faced by organizational personnel and incorporate them into the course. This will ensure that the material takes on additional relevance for client personnel and that they see the proper way to interact in the environment in which they will be working. Building on a well established foundation the course is customized for each client so that the specifics of their personnel's situations is taken into consideration when configuring the online and in-class components. Additionally, all video scenarios will be produced at the client's location and will require participation from the client's personnel. 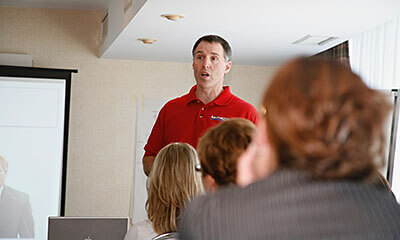 The Infinity Communication, Conflict Management, and De-escalation course can be delivered in a number of formats. The most popular delivery format being used by our clients is blended or hybrid delivery. This involves utilizing an initial online portion that provide a baseline level of knowledge. The online portion of the course is delivered with state of the art technology to make the course accessible, as well as easy to navigate and use. As you progress through the course you have access to course instructors for any questions you have. The online portion of the course is followed by an in-class portion that focuses on higher level knowledge and the practical application of that knowledge. The number of facilitators required for the in-class portion of the course will depend on the number of students in the class. As with all Infinity courses each client is fully supported by knowledgeable law enforcement professionals and course materials are continually updated to ensure currency as well as alignment with any changes to legislation, case-law, and best practices. Please contact sales@infinitygroup.ca for pricing and course scheduling. 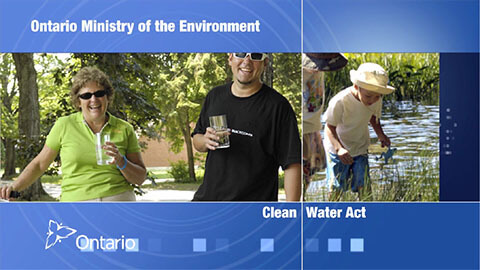 Sample of role-play used in MOECC Clean Water Act course used to provide students with practical application of techniques taught in class. Video was also displayed in class while completing role-play and then used for review by class and all participants prior to completing next role-play. 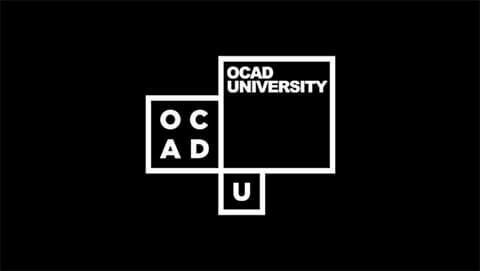 Sample of custom video developed with input from OCAD University personnel and produced at the University. The video is one of three produced for the program. Sample of custom video introduction presented by Dr. Gary Ellis PhD. the subject matter expert for the development of the # It's Not OK Bias and Discrimination Module. A custom introduction is included to allow for a subject matter expert of client lead to introduce the program to the learner.